Stone, brick and wood introduce subtle textures to this house near Cape Town, which was designed by architect Jan Sofka to resemble a Japanese home spotted on Dezeen. 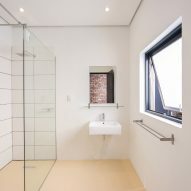 Hoptoad house was initiated in 2013 by entrepreneur Sven ten Bokkel Huinink, who was looking to build a second property on his existing smallholding in Noordhoek, a village around 30 kilometres south of the city. Ten Bokkel Huinink was struggling with how to introduce another building onto the site in a way that wasn't too disruptive to the adjacent farmhouse and its natural surroundings. Inspiration came from a home in Osaka, designed by Arbol Design, which features a walled garden that wraps around it to provide views of greenery while protecting the interior from overlooking by its neighbours. "It all started after viewing the Arbol Design project on Dezeen," said Ten Bokkel Huinink. "Their design had a very different issue to tackle as it had to provide an oasis in the middle of a major Japanese city." "For me it was the other way around," he added. 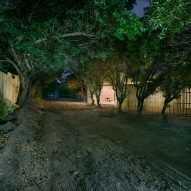 "I did not want to keep the outside out, but instead needed a house that looked good from the outside, particularly from the back as the existing house would look straight at it." Ten Bokkel Huinink invited Jan Sofka of Cape Town studio Sofkapatterson Architects to develop a proposal for a building informed by the Japanese home. 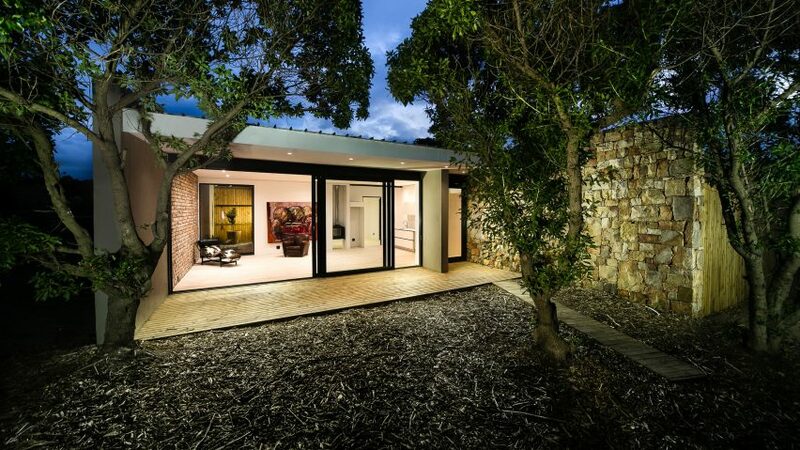 The resulting design provides privacy from the main house while promoting the connection between the interior spaces and the natural surroundings. 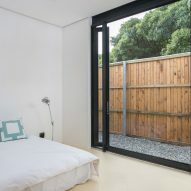 A tall fence shields the single-storey building on one side, preventing the master bedroom's full-height windows from being overlooked. The fence is made from local pine that will naturally mellow over time to a soft grey similar to the trunks of the adjacent trees. 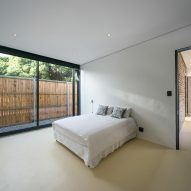 A gravel-filled courtyard accommodated between the fence and the glazing extends in an L-shape around the bedroom. The courtyard is also visible through a large window in one wall of the living space, which allows daylight to enter the building. A high wall comprising large blocks of local stone introduces a further natural detail to the exterior that is complemented by an exposed brick wall on one side of the living space. A solid pine floor in the living area provides a light, natural surface that enhances the bright feel of the interior. 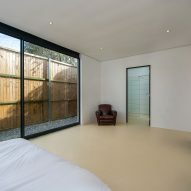 The rest of the house features a seamless epoxy floor that extends from the corridors into bedrooms and bathrooms. 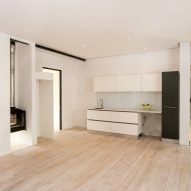 The property covers a total area of 200 square metres, including a separate wing that accommodates two further bedrooms and a large bathroom. It was named Hoptoad after the ship captained by Pippi Longstocking's father in Swedish author Astrid Lindgren's stories.